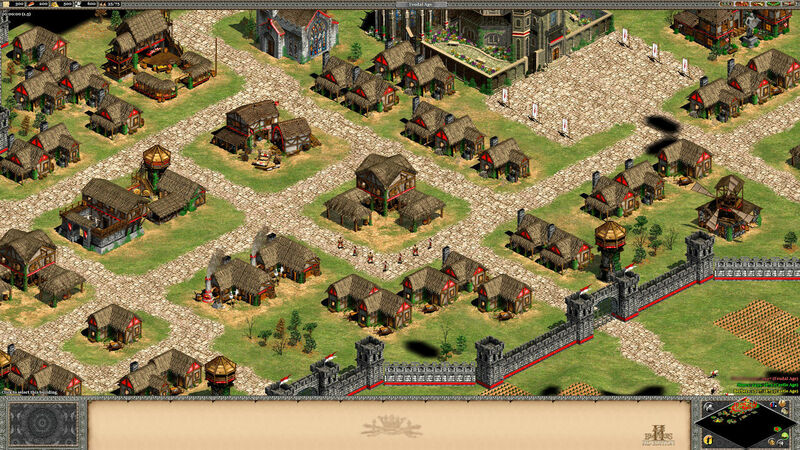 This is a community created compatibility update for Age of Empires II HD to support the original The Conquerors. This patch does not violate copyright, no files from the original CD are used -- more on this below. The purpose of the patch is to provide a quick and legal way to purchase the HD version of the game through Steam, and add compatibility with the regular AoE II. This patch provides the ability for those that have officially purchased AoC HD from Steam, to play against / with other players using the original AoC release. It's also for those that aren't interested in AoC HD at all, but have no easy way to purchase the original game, while Amazon still sells it here -- not everyone can buy from amazon . 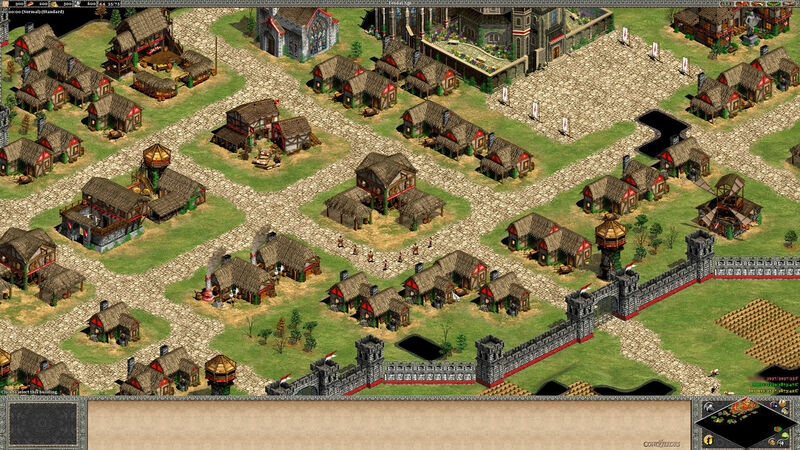 The original AoC still has a large and active community, especially for the Multiplayer version. On Steam for e.g There is virtually no Custom Scenario community, yet other fan sites have larger and more active player bases. When AoC HD on Steam was announced many of us / the community were excited to finally have a quick and easy way to buy the game again and still be able to play with existing communities and friends. This turned out to not be the case. This patch fixes the drawbacks of isolating communities, and allows us all to now play together as we had originally hoped for. These fan sites for the original AoC and it's communities sponsor some large events, such as $20,000 Nations Cup or the $50,000 War is Coming. It is fair to say that while AoC HD has implemented some interesting stuff, it most certainly has quality and stability issues for a number of players. This patch provides a solution to those issues. Take advantage of the fan patches created for the original version. When playing in compatibility mode, the game will behave exactly as it did in the original and the enhanced HD version , with community made patches such as UserPatch. Some Features will remain the same: HD resolutions will still be available through the community patches -- please compare the screenshots below. Features disabled: the animated water won't be there. Features added: any feature present as part of userpatch or the multiplayer client use. Compatibility mode is made possibly by combining either FE files (http://www.forgottenempires.net/install) or the 1.0c patch from Microsoft for the original game, AoC HD data files and a few small edits to 1.0c exe. There are no files included from this patch off the original CDs and because of this doesn't violate any copyrights. OK, if it's not illegal wouldn't Microsoft dislike this? We hope not, as the patch requires a full installation of AoK HD it definitely doesn’t help piracy, anyone pirating the game can already get full installations of the game available. Further, we expect this to only gain more sales for Microsoft as it reduces motivation to pirate the original game if there is a quick and legal way to get it legally. Q: Does this support UserPatch 1.4? A: Yes, the patch includes an exe with 1.4 applied! Q: Does this support Forgotten Empires? A: Yes, you need to install FE from http://www.forgottenempires.net/install first. Then install this patch. This patch will make a few minor changes to the FE exe to allow it to work. Q: Does this break AoC HD? A: No, you can run both out of the same directory! Q: Why do I have to reset my hotkeys when in compatibility mode? A: Compatibility mode runs with a different settings file, so this is expected. Q: How do I run the game in compatibility mode once installed? Q: The game is crashing, what do I do? A: Try marking the exe as run as administrator and also Windows XP SP3 compatibility.